Awesome Cape Town ,awesome pictures . As a Capetonian , I always wanted to go on the wheel of exellince but somehow took it for granted to make accuses . What beautifull site is within our mother city . I salute you Nihaad for starting to tour within your home town . Have fun and explore ! Thanks hun Xo 🙂 And I appreciate the comment! My pleasure Nihaad. I am glad to be a part of your journey. Thanks for sharing it with us 🙂 It is really beautiful and is on my bucket list of places I wish to visit. Oh, the view must’ve been amazing. It’s so good that you’re allowing yourself to explore despite unfavourable economic situations. I’ve not been to Cape Town, but I would love to visit as well as go on the Wheel of Excellence the place! Thanks Lou, it was a wonderful experience indeed! Nice post. Sometimes we can take our own cities for granted, so it’s nice to see you are appreciating your own! Thanks so much for reading Jay! I could not agree more! Awesome pictures. Loving the little adventures that you and your husband go on. I agree with you when you say that you have to start with your own city and I must say Cape town is a rather beautiful city to start with. Thanks Poppie! 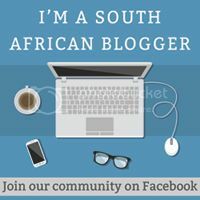 So glad to see your name popping up on my blog – missing your posts over on your side 😦 Hope to read something new by you soon Xo Cape Town truly is the world in one city – trying to make the most of it and enjoy every bit of this beautiful city! Yes, I have been MIA lately but main priorities at the time was getting my studies in order; finals are coming up. But I have am starting to slowly come out of hibernation now, so you’ll be seeing more of me. This is such a cute post – all your photos are absolutely gorgeous and you look beautiful too, your outfit is so sweet! WOW the pictures are wonderful! I mean this landscape makes me dream about visiting South Africa!! May Allah protect your family & bless you with children ! Awww what a lovely thing to say! I am so lucky to be married to my best friend, Alghamdulillah! South Africa truly is a beautiful place, you should definitely strive to visit soon! May Allah bless you and your family in abundance too, Ameen Insha’Allah!